NEW YORK, Oct. 31, 2013 /PRNewswire/ – Data through August 2013, released today by S&P Dow Jones Indices for its S&P/Case-Shiller1 Home Price Indices, the leading measure of U.S. home prices, showed that the 10-City and 20-City Composites increased 12.8% year-over-year. Compared to July 2013, the annual growth rates accelerated for both Composites and 14 cities. On a monthly basis, the 10-City and 20-City Composites gained 1.3% in August. Las Vegas led the cities with an increase of 2.9%, its highest since August 2004. Detroit and Los Angeles followed with gains of 2.0%. In August 2013, the 10- and 20-City Composites posted annual increases of 12.8%. “The 10-City and 20-City Composites posted a 12.8% annual growth rate,” says David M. Blitzer, Chairman of the Index Committee at S&P Dow Jones Indices. “Both Composites showed their highest annual increases since February 2006. All 20 cities reported positive year-over-year returns. Thirteen cities posted double-digit annual gains. Las Vegas and California continue to impress with year-over-year increases of over 20%. Denver and Phoenix posted 20 consecutive annual increases; Miami andMinneapolis 19. Despite showing 26 consecutive annual gains, Detroit remains the only city below itsJanuary 2000 index level. 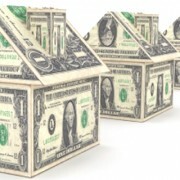 “The monthly percentage changes for the 20-City composite show the peak rate of gain in home prices was last April. Since then home prices continued to rise, but at a slower pace each month. This month 16 cities reported smaller gains in August compared to July. Recent increases in mortgage rates and fewer mortgage applications are two factors in these shifts. All twenty cities posted monthly gains in August, although most cities showed deceleration compared to July. Las Vegas was at the top of the range at +2.9% and Seattle was at the bottom with a return of +0.5%. Month-over-month, San Francisco has been losing momentum as prices increased 4.9% in April 2013 and 0.9% in August 2013.